The piece is an absolutely stunning Necklace. 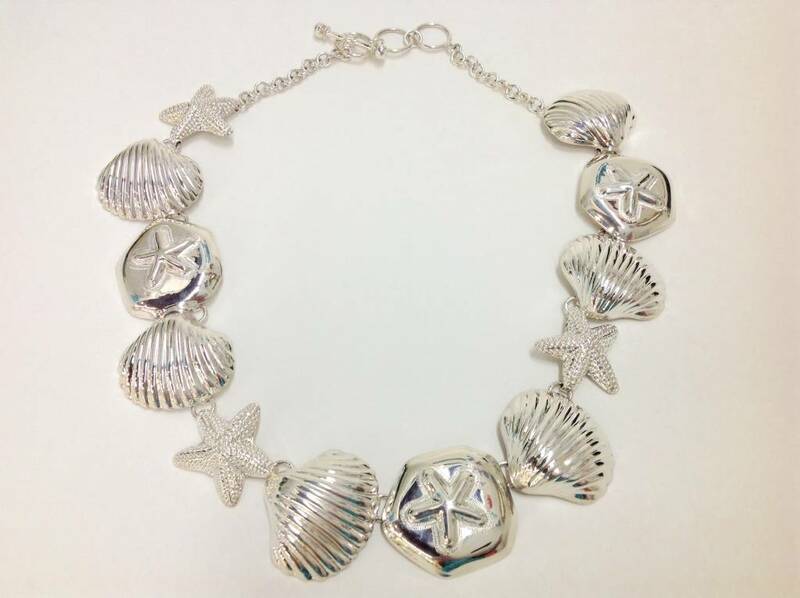 Each shell, sand dollar, starfish is a miniature work of art, lays beautifully on any neck. Designed by Charles Albert, Florida artist. 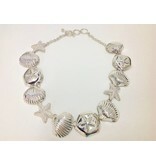 Shells: 33mm x 30mm, Starfish: 22mm x 26mm, Sand Dollars: 30mm x 34mm. Length of Necklace: Adjusts from 18" - 21".